Welcome to my page. 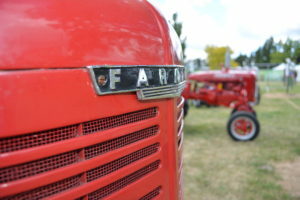 Here I will display online for you to enjoy my collection of all things International Harvester. From things that go to things that are static. From Tractors to golf balls. It started in 1999 with a tractor and when I decided on what I wanted to collect it really took off. Please take a trip around my hobby. Feel free to leave comments or ask me a question. I will help out where I can. There are thousands of things that could be added so I remain on the look out at swap meets, auctions, online and from fellow collectors. You may have something that instead of throwing away might be preserved for future genrations.